Parikshit Basrur is the Senior Manager, Agile Initiatives for Singtel Optus based in Sydney, Australia. As part of his role, he leads the organisation-wide enterprise transformation across strategy and execution. His professional background as a senior management consultant covers global client engagements of product and platform roll-outs across multiple industry verticals. His key strengths are strategic consulting and advisory to senior executives and managements both internal and external across the organisation's value chain on building Agile as a core competency and building the necessary end-to-end engagements to delivery business value. He has a roll-your-sleeves approach to leadership and management, believing in building autonomous high-performing teams who are empowered to engage with stakeholders and build thought leadership. A Kiwi at heart, he firmly believes that teamwork and collaboration are the essence of building culture. His diverse background covers roles across Strategy, Operations, Project, Program and Portfolio Management and Governance and Software Engineering across Telecommunications, Digital (Mobile, Web, Social Media), Banking (Retail, Business, Institutional) Financial Services and Insurance, Retail, Government, Health, Supply Chain and Logistics, Production and Inventory Management, Education, Life Sciences, Publishing, eCommerce and Dairy. 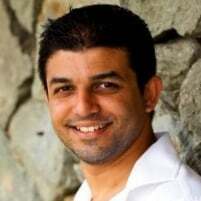 In addition to his employment, Parikshit is the Online Tutor for the Master of Project Management course at the University of Sydney for Applied Project Management and Project Delivery Approaches. He has also held multiple guest lecture engagements over the last year at Curtin University and the University of Sydney. As part of his commitment to the community, he has also been nominated as the Director at Large for the PMI Sydney Chapter to develop the future strategy and provide recommendations to the board. Currently pursuing his MBA from Macquarie University, he is developing a framework for Leadership in Enterprise Agile Transformation and has been invited to publish articles for CIO APAC Outlook. Agile transformations have become the norm these days with everyone claiming to be leading one. What really constitutes a transformation and is there a secret sauce to this? This session gleans from a decade long experience of leading enterprise change to call out ingredients to make the secret sauce for your organisation.